Shcherbytsky, Volodymyr [Ščerbyc’kyj], b 17 February 1918 in Verkhnodniprovske, Katerynoslav gubernia, d 16 February in 1990 in Kyiv. (Photo: Volodymyr Shcherbytsky.) Communist party and Soviet government leader. A graduate of the Dnipropetrovsk Chemical Technology Institute (1941), after the Second World War he worked as an engineer in Dniprodzerzhynsk. 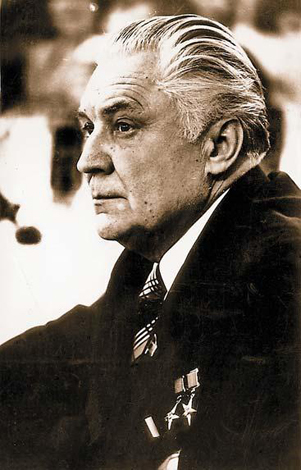 From 1948 he was a Party functionary; he rose through the ranks to the positions of first secretary of the Dniprodzerzhynsk City Committee (1952–4), CC CPU candidate (1954–6) and full member (1956–89), second (1954–5) and first (1955–7, 1963–5) secretary of the Dnipropetrovsk Oblast Committee, CPSU Central Auditing Commission member (1956–61), CC CPU Presidium member (1957–66), CC CPU secretary (1957–61), chairman of the Council of Ministers of the Ukrainian SSR (1961–3, 1965–72), CC CPSU member (1961–89), CC CPSU Presidium candidate (1961–3, 1965–6), CC CPSU Politburo candidate (1966–71) and member (1971–89), CC CPU Politburo member (1966–89), and CPU first secretary (1972–89), and member of the presidia of the Supreme Soviet of the USSR and Supreme Soviet of the Ukrainian SSR (1972–89). 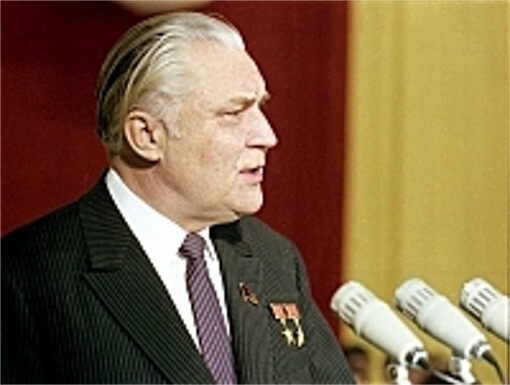 A protégé of Leonid Brezhnev and a Moscow loyalist, Shcherbytsky replaced Petro Shelest as CPU first secretary and purged Shelest's supporters from the Party and government apparatus and cultural and academic institutions. From 1972 to approx 1986 his neo-Stalinist rule in Ukraine was marked by intensified Russification, repression of the dissident movement, ideological conservatism (especially in nationality policy), and economic and cultural stagnation. On Shcherbytsky's initiative all Party work and all CPU congresses were conducted in Russian. 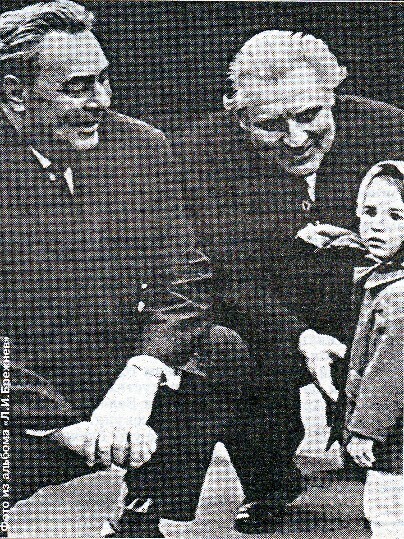 A recognized opponent of Mikhail Gorbachev's policies, he was one of the last three Brezhnevites to be dropped from the CC CPSU Politburo, in September 1989. A few days later he was replaced as CPU first secretary by Volodymyr Ivashko. Shcherbytsky quickly faded into seeming obscurity. His political career was examined by a long-serving aide, V. Vrubelsky, in a book published in Kyiv in 1993. However, in 2003, the 85th anniversary of Shcherbytsky’s birth was officially and ostentatiously celebrated in Ukraine. A book of recollections about the former leader, edited by V. Andriienko et al, was published in Kyiv to commemorate the occasion.